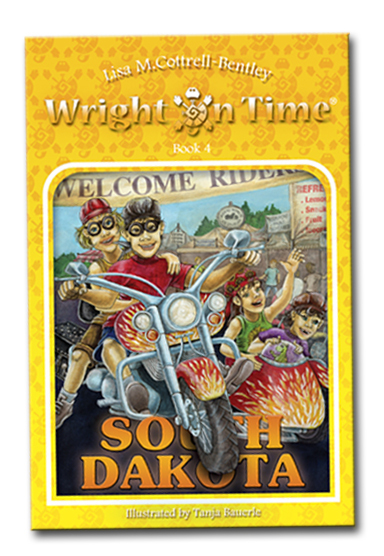 The Wright family’s homeschooling adventure continues on to South Dakota as their RV hits the road again. The kids wonder what all those motorcycles are doing in the small town of Sturgis. Nadia learns how newspapers are created. Aidan gets to lead the way on a daring round of follow the leader. Prince Pumpkin the Third, their pet turtle, stumbles across something that he probably shouldn’t have. Meanwhile, what startling new secrets of the Time Tuner are revealed? 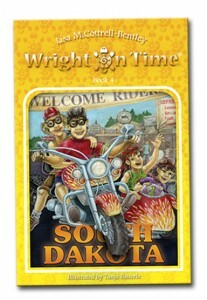 This is the fourth book of the Wright on Time series.